Wärtsilä has been selected to supply a complete waste treatment package to the new expedition vessels for Seabourn, with the new ships debuting in 2021 and 2022. The ships will be built at Mariotti Damen with the Seabourn Venture debuting in May 2021 on a worldwide deployment pattern with capacity for 264 guests. 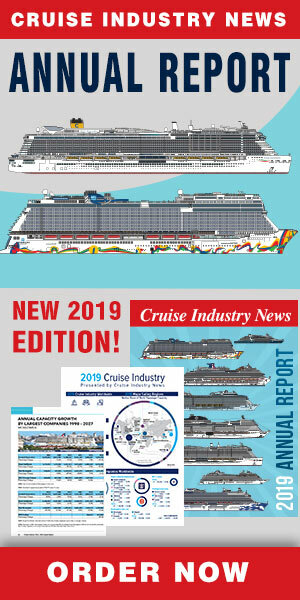 A second expedition ship follows for the Carnival Corporation brand in 2022. Wärtsilä was also awarded the Advanced Waste Water treatment contract for Cunard’s latest cruise ship which will be built at Fincantieri and debut in 2022. The company's Membrane bioreactor provides the highest quality of effluent from sewage, meeting worldwide discharge standards. It adopts the Dry Waste philosophy to recycle as much as possible, while also treating with the cleanest emissions using Micro Auto Gasification technology, the company said.